2015 has already been a year of improving for this site. We started out the year with a new full rink template and now it is time for another change that is long overdue. 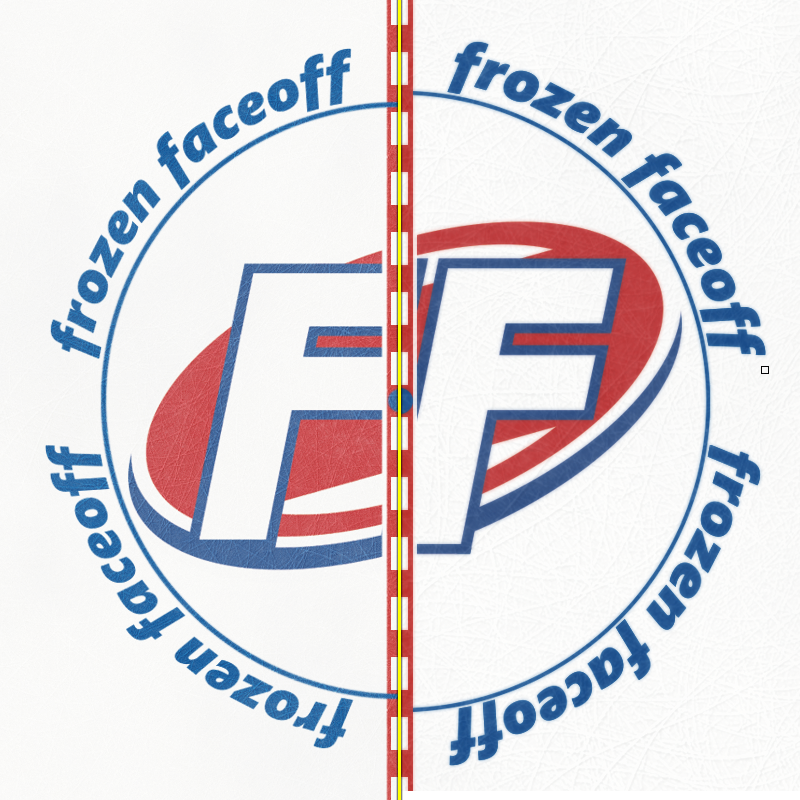 For several years we have posted center ice graphics with the most realistic looking ice textures we could create. They have worked well for us but after much thought, there will be some changes. This site has always been primarily focused on the center ice designs throughout the history of NHL teams. In an effort to improve this focus, we will be slowly rolling out new graphics to replace the existing ones. They will still have an ice texture, but now that texture will not distort the images as much, or distract from the overall design. Below are some before (left) and after (right) examples of the changes. Special thanks to CF92 for helping me out with this project!